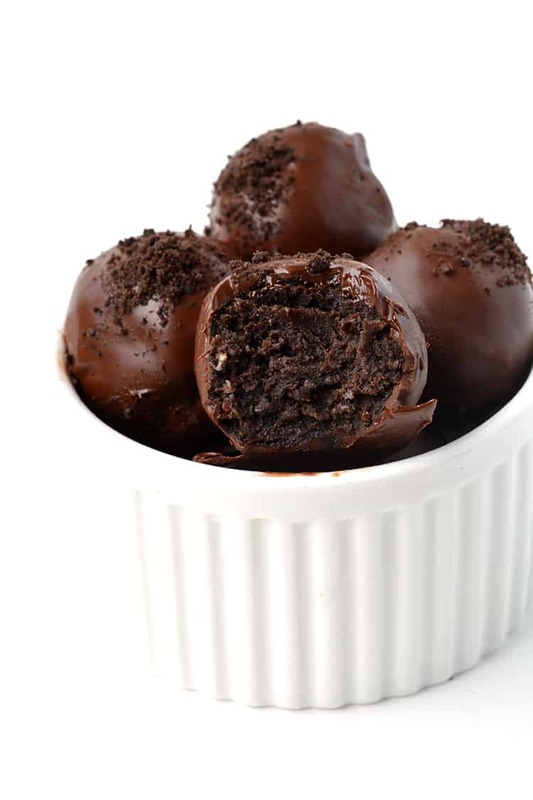 You only need three ingredients to make these gorgeous Oreo Cheesecake Truffles. Crushed Oreo cookies mixed with tangy cream cheese and dipped in chocolate. 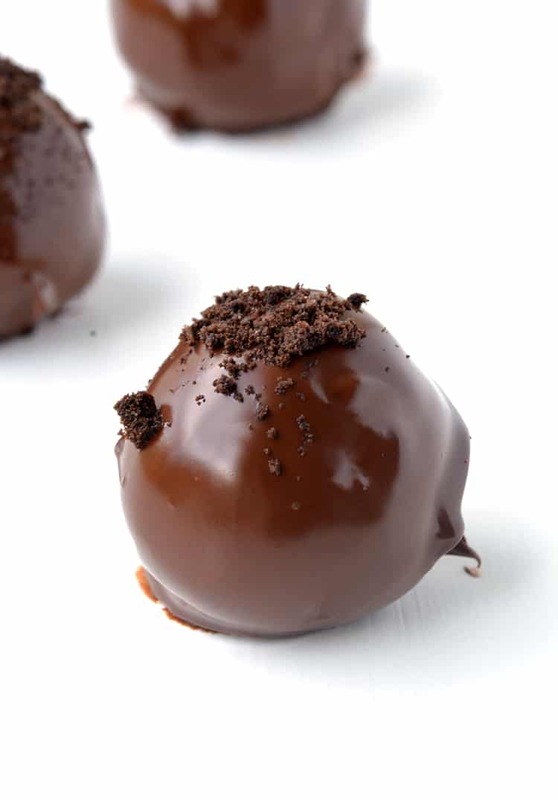 I remember when I first made these chocolate truffles. It was actually 4 years ago for one of my closest friend’s baby showers. I lined them all up on a plate, proud as punch at my efforts. I was new to baking back then so I thought I was pretty clever. No one else knew just how easy they were to make. Then I watched in awe as they were the first dish, of a very impressive spread, to disappear. Everyone LOVED them. 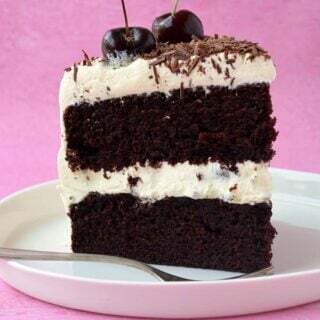 So even though I first posted this exact recipe roughly 4 years ago on Sweetest Menu, I wanted to post it again with some new photos because they are not to be missed! 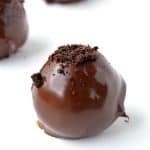 Even after four years of madly baking desserts, I couldn’t think of any way to make these gorgeous truffles any better. They really are THAT good. Tangy cream cheese, crushed Oreos and melted chocolate. That’s it. There are no secrets here. Just three divine ingredients that combine to make some kind of truffle heaven. So what’s not to love? 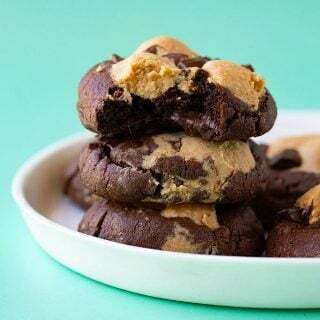 With a filling made from cream-filled Oreos and a thick coating of chocolate – they’re a cookie lover’s delight. Perhaps the best part, is how easy they are to put together – it only takes minutes! 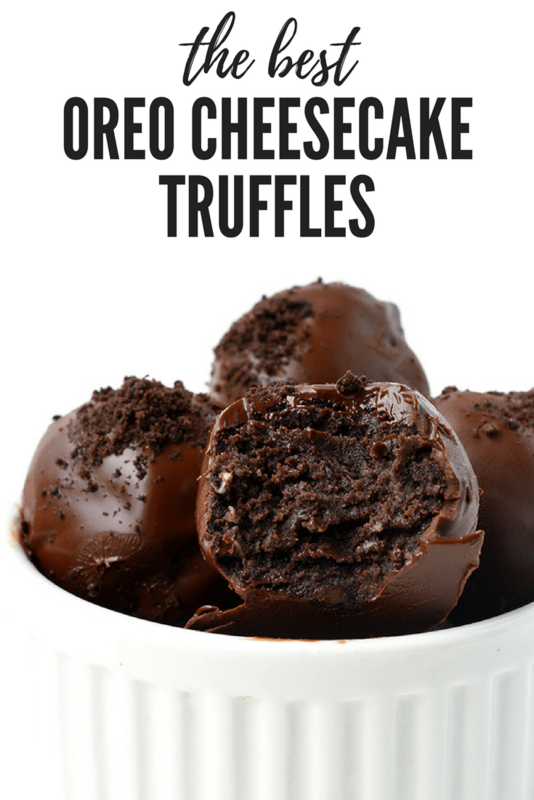 This recipe makes approximately 15 truffles but I’m warning you now, if you’re planning on taking these anywhere, consider doing a double batch. I know I will be next time I make them. I mean, I just ate 3. 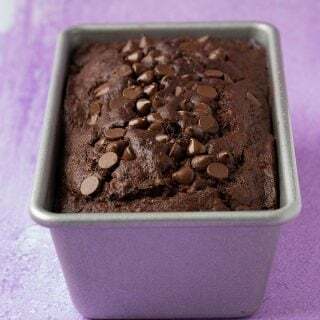 You HAVE to double this recipe if you want to leave the house with a full batch intact, ok? OH and if you’re after a minty twist, you can try my Peppermint Oreo Truffles. They’re equally as good, I promise. 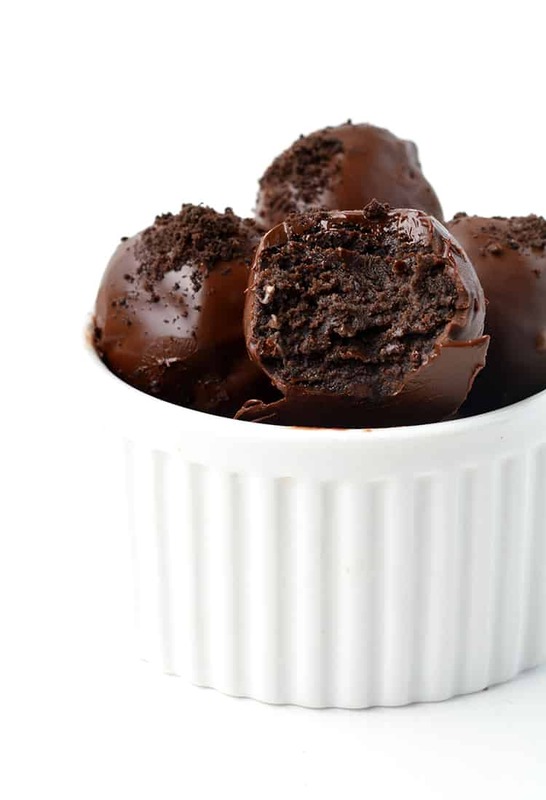 Three ingredient Oreo Cheesecake Truffles dipped in dark chocolate. Line two baking trays with baking paper and set aside. Grab your food processor and add all the Oreo cookies (cream filling and all). Whiz for a minute or two until they resemble fine crumbs. Add cream cheese and whizz again. 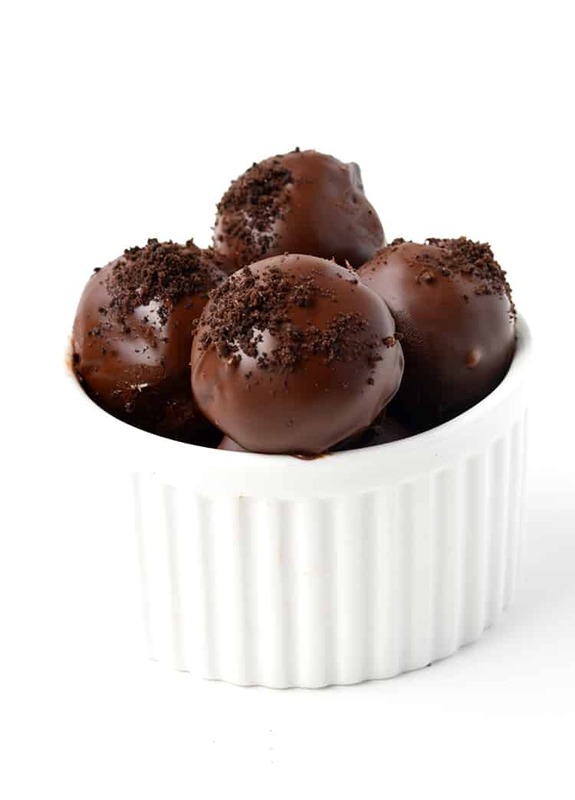 Roll the mixture into small balls using your hands and place onto one of your prepared trays. Pop in the fridge for 30 minutes. Add chocolate to microwave-safe bowl and heat in the microwave, stirring every 20 seconds, until melted and smooth. Grab your truffles from the fridge. 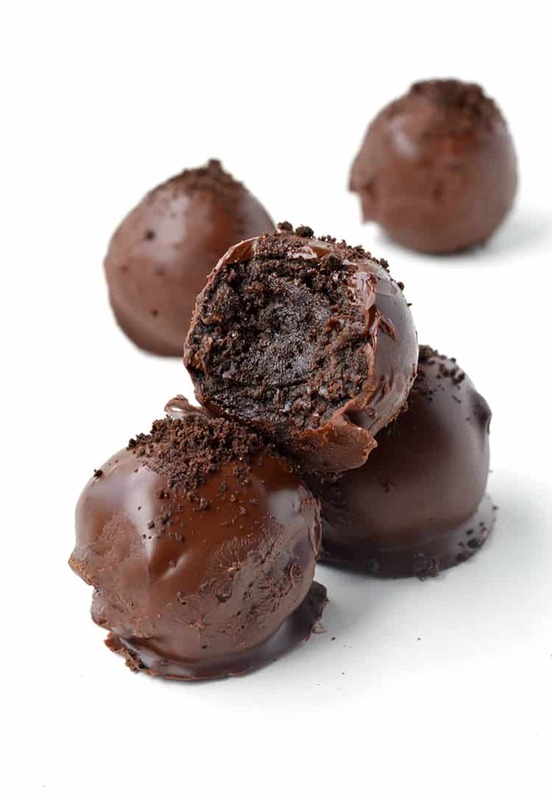 Use a fork to dip each truffle in melted chocolate. Gently place onto prepared tray. Continue with remaining truffles, then place in the fridge to set for 15 minutes. Decorate however you wish. I sprinkled over crushed Oreo cookies. 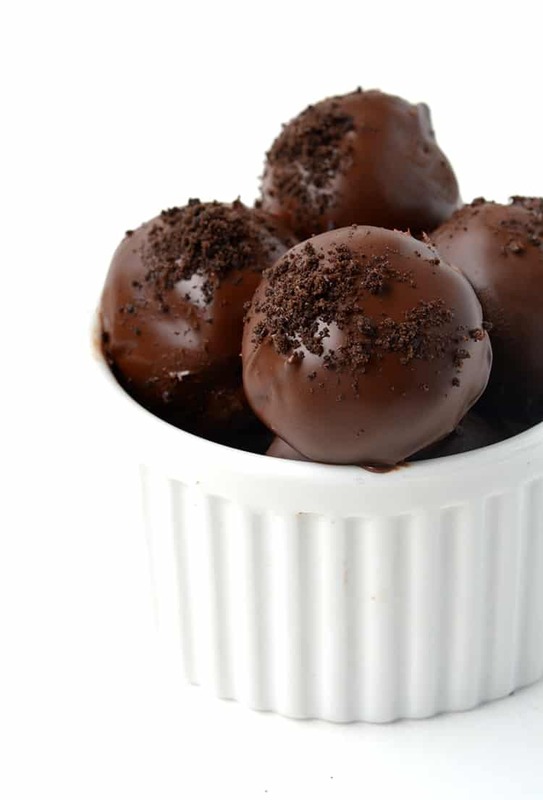 Store chocolate truffles in the fridge. have made these… they r abso insane!!!!! So glad you enjoyed them Kiriana! Thanks Natalie, I hope you enjoy them!! Do you melt the topping straight after they have been dipped or after setting for 10 minutes? Thanks. Hi there, it’s best to wait until the chocolate has set before piping over the white chocolate. It will just help to ensure the two chocolates don’t melt and mix together. I hope you enjoy them!